Comprehensive EHS audit protocol with easy filtering screening questions for users to create a tailored EHS audit protocol specific to site operation. Plus functions for track findings, recommendations, observations, best practices, corrective actions as needed. 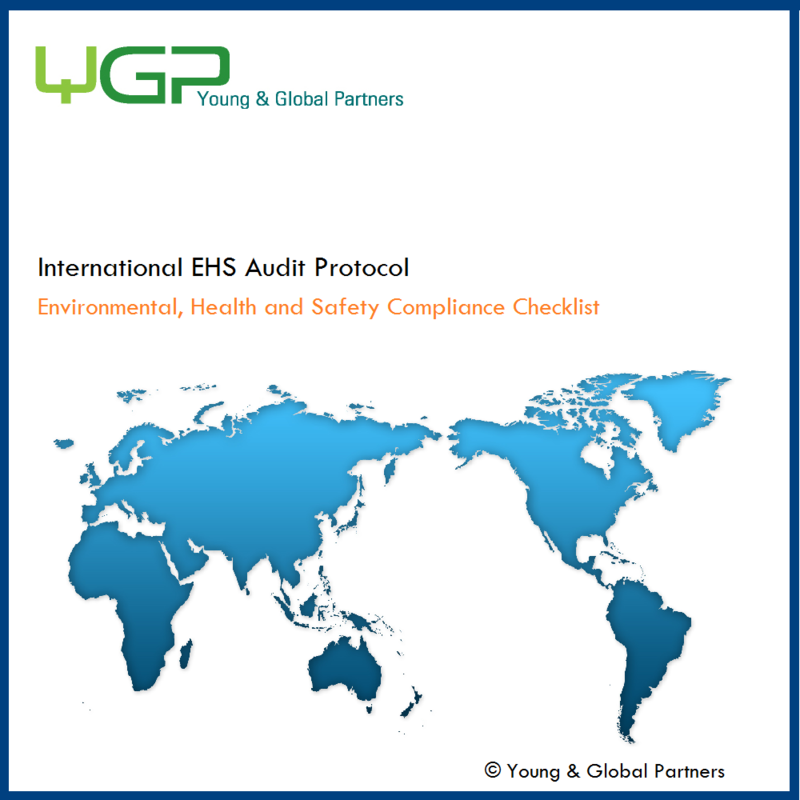 YGP EHS Compliance Audit Protocol is the tool to conduct an EHS compliance audit or site assessment for your facilities in over 300 jurisdictions in the world. YGP EHS Audit System provides users with the Screening Question Function to easily and quickly generate self-tailored audit checklists and compliance guide notes. For most non-English speaking countries Dual-language EHS audit protocols are available for global and local EHS managers. Detailed Guidance for each audit questions assists users to understand legal requirements and answer an audit question. Select and purchase of any interesting EHS subjects that may impact your operation or products. Screening Questions Generate audit and compliance score sheets. Access to YGP Global EHS Intelligence Portal including enormous regulatory resources. Comprehensive assessment of EHS compliance performance and, where necessary, with corporate EHS standards. Detailed audit questions, guidance, onsite-tested functions and checklists. Access to searchable EHS legal database and to original legal texts (and, where available, English translation). Easy saving and export of EHS audit checklists and results. Systematic management of global EHS operation. Access to YGP EHS auditors and consultants. Add corporate standards or site-specific requirements. Control over the level of detail. Drill down to more technical language and data when the complexities of a situation demand it. Save an audit and return to it at any time. Share templates and provide access to authorized team members.